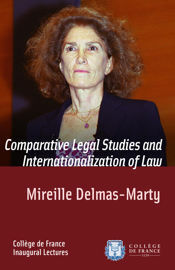 Comparative Legal Studies and Internationalization of Law by Mireille Delmas-Marty, Collège de France, 2015. By combining a method – comparative studies – with an ongoing process – the internationalization of law, that is, its extension beyond national borders – this Chair looks to the future, as uncertain as it may be. The new realities are causing law to evolve into complex and highly unstable interactive systems that are perhaps more symptomatic of profound change than of the defeat of law: we are faced with a change in the very conception of the legal order. 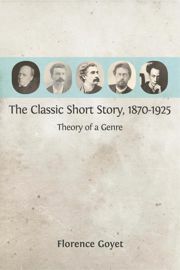 The Classic Short Story, 1870-1925 by Florence Goyet, Open Book Publishers, 2014. This expanded and updated translation of Florence Goyet's influential La Nouvelle, 1870-1925 : Description d'un genre à son apogée (Paris, 1993) is the only study to focus exclusively on the classic period of the short story (late nineteenth-early twentieth) across different continents. Particularly focusing on the works of Guy de Maupassant, Henry James, Giovanni Verga, Anton Chekhov and Akutagàwa Ryünosuke, Goyet demonstrates that, despite the apparent intention of these stories to question bourgeois ideals, they mostly affirmed the prejudices of their readers. Tired of Being a Refugee. 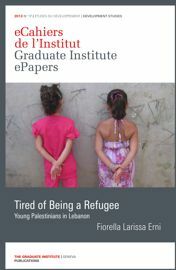 Social Identification among Young Palestinian Refugees in Lebanon by Fiorella Larissa Erni, Graduate Institute Publications, 2013. In the camps of South Lebanon, young Palestinians make up the fourth generation of refugees. The manner in which they experience this status and construct their identity has radically changed in comparison with their elders: today their lives are marked by globalization, technology, the relationship with Islam or identification with young Arabs the world over. This book reports on these upheavals and concludes that the Palestinian identity of the diaspora survives only when it is experienced as a value and not as an obstacle. The RCCS Annual Review is published once a year in English by the Centro de Estudos Sociais of the University of Coimbra (Portugal). It consists in a selection of articles in the humanities and social sciences originally published in Portuguese in the Revista Crítica de Ciências Sociais (RCCS) journal over the past year. It gives particular attention to critical, comparative and transdisciplinary approaches to the production of knowledge within Portuguese-speaking areas. It seeks to contribute to the theoretical debate and epistemological thinking within the global context. OpenEdition is pleased to announce its collaboration with the Directory of Open Access Books (DOAB) and the Directory of Open Access Journals (DOAJ). The collaboration takes shape in various ways. As for DOAB, OpenEdition has recently helped to set-up a French version of the DOAB website and has assisted in screening new applicants from France. OpenEdition will also act as an agent for its members to upload information and metadata of their books. More generally, OpenEdition supports the DOAB and the DOAJ in their commitment to quality criteria in the selection of publications. It represents the two Directories in public events for the academic community and helps them to develop their services to publishers and libraries. More information in the DOAB Newsletter. March 17-18, Bibliostar, Milan (Italy). June 24-27, ALA Annual Conference, Orlando (USA). June 29-July 1, LIBER, Helsinki (Finland).